What opportunities do SSD vendors see in NVMe? Storage vendors are always on the lookout for the next generation of technology that can make their systems stronger, more agile, and scalable. With the introduction of NVMe technologies, how prepared are vendors to take advantage of this innovation? 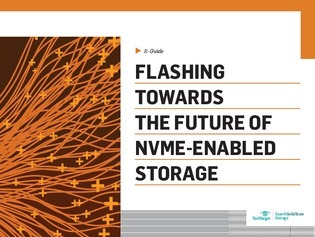 In this guide, read an interview with the CEO of one major flash storage distributor as he talks about NVMe, how customers are using SSDs, and plans for the future. Then, read more about an all-flash offering that’s already prepped for NVMe capabilities as soon as the demand arises.